Click HERE for May Day is Lei Day in Hawai‘i video. 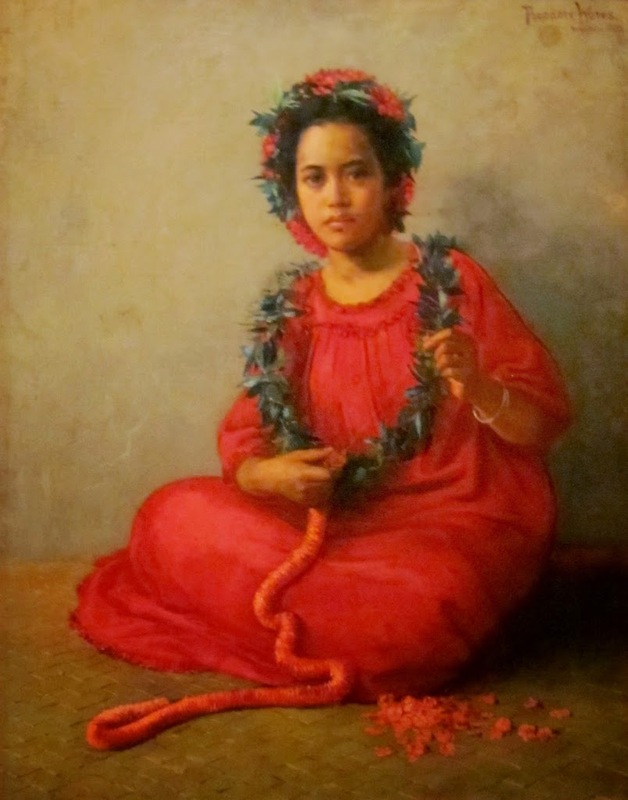 The image is ‘The Lei Maker’ painted by Theodore Wores in 1901. At that time, whale products were in high demand; whale oil was used for heating, lamps and in industrial machinery; whale bone was used in corsets, skirt hoops, umbrellas and buggy whips. Rich whaling waters were discovered near Japan and soon hundreds of ships headed for the area. The central location of the Hawaiian Islands between America and Japan brought many whaling ships to the Islands. Whalers needed food and the islands supplied this need from its fertile lands. Another thing the early whalers wanted was water. The first ships to visit Honolulu obtained their fresh water by sending small boats with casks up Nuʻuanu stream above the salt water tidal area. Over the years, the fledgling water system expanded. Then, on April 29, 1925, Governor Wallace Rider Farrington formed and appointed members to the original Honolulu Sewer and Water Commission. Then, on July 1, 1929, Governor Farrington appointed members to the first Board of Water Supply (BWS;) they immediately appointed Ohrt Manager and Chief Engineer. The semi-autonomous Board of Water Supply (BWS,) under the administration of Frederick Ohrt, had been established in 1930 to replace the mismanaged and scandal-ridden City Waterworks Department, which had brought the city to the verge of a water shortage. One of the early facilities of the fledgling Water Department (before Ohrt’s involvement there) was the Kalihi Pumping Station, on the corner of Waiakamilo and North King Street. The initial building was constructed in 1899 (it has since been replaced.) The pump in the plant was an EP Allis Vertical Triple Expansion Triplex Single Acting Pump. It is now home to the Water Department’s Fred Ohrt Water Museum, named in honor of BWS’s first Manager and Chief Engineer. The museum is located at the Kalihi Pumping Station, 1381 North King Street. Tours their include an introduction to our island’s water cycle, discussion on water conservation, and walking tour of the museum showcasing “The Old Man of Kalihi”, the original 1899 steam pump, and history of the BWS. The Honolulu BWS is the largest municipal water utility in the state, serving one-million customers on O‘ahu with 55-billion gallons of water every year, which includes 95-active drinking water facilities, 166-storage tanks and more than 2,000-miles of pipeline servicing nearly every community on O‘ahu. 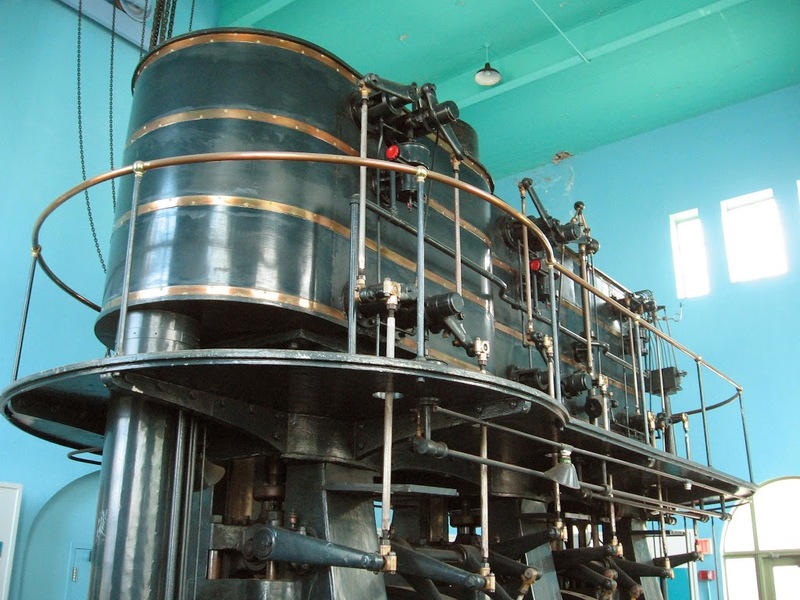 The image shows “The Old Man of Kalihi,” the 1899 steam pump at the Fred Ohrt Water Museum. In addition, I have added some other images in a folder of like name in the Photos section on my Facebook and Google+ pages.